Matt Ralls is president and CEO of Rowan Companies. He is also the 2010 IADC vice chairman. 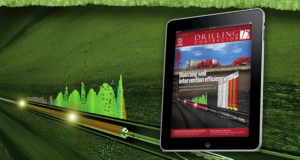 DC: What do you see as some of the most critical technology challenges facing the drilling and completion industry today? Ralls: Rowan is a jackup and land drilling contractor, so many of the technology issues facing the deepwater companies don’t apply to us. For us, the most important technology issue continues to be top drive technology. It is an area that accounts for a consistently high percentage of our downtime. We’re still looking for technology improvements from all manufacturers, including our own LeTourneau Technologies. We’d like to improve top drive uptime and the time between swivel packing changes, etc. DC: LeTourneau developed the direct-drive top drive that eliminates the gear box. How many of Rowan’s rigs have that top drive and how are they working out? Ralls: They’re working great. We’ve had a few design issues with the peripheral equipment like pipe handling equipment and the rotary distributor, but they’re just bugs. It’s a very good drilling machine. Currently we have LeTourneau top drives on about 20 of our rigs, and the five new rigs we have under construction will all get LeTourneau top drives. Compared with early 2009, almost all markets have picked up in activity and new tenders are being made for high-end jackups. Rowan’s Hank Boswell jackup is currently contracted to drill in the Middle East for Saudi Aramco into 2011.
lt in Brazil and competing on a package in Vietnam. We’ve also sold them to other jackups and land rigs. DC: Have you been able to achieve reductions in downtime with these direct-drive top drives? Ralls: This technology was really more about getting rid of the gearbox and using AC technology more effectively and creating higher torque at the same time. It’s been very successful in that regard. The downtime experience has been pretty consistent with past results. 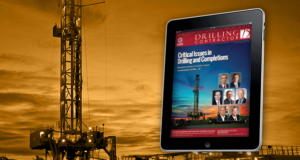 DC: What are the key challenges facing drilling contractors as far as the market and economy? Ralls: The biggest issue is the downturn in commodity prices, which is directly related to the sharp drop-off in economic activity. But I think virtually every country has come out of recession now. I expect that will result in increasing demand for hydrocarbons and ultimately stronger commodity prices. I think we’ll see higher levels of activity in 2010 and 2011. Overall capital budgets may not be up that sharply because prices for services have come down, but we believe activity levels will increase over the next two years. DC: Do you sense an overall higher level of confidence in the market? Ralls: Higher than what is the question. It’s definitely much stronger than what we saw at the beginning of 2009. That was one of the sharpest downturns this industry’s ever seen. We’re optimistic about 2010 in relation to 2009. DC: Safety is on everyone’s minds these days. Has that changed at all with the economic situation getting so much attention? Ralls: If you mean has the industry reduced its focus on improving safety, definitely not. The contract drilling industry has made significant strides over the last decade in terms of changing our safety culture. At Rowan, it is a very high priority, and we’ve made significant improvements in our safety performance in 2009 – though it’s never as good as you want it to be. 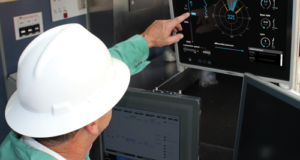 We want to work toward incident-free activities, and we have had several rigs work a full year without any recordable incidents, so we know it’s possible. We continue to be extremely diligent with safety in all activities. I think that’s pretty consistent across the large drilling contractors, supported admirably by our customers, including the national oil companies. DC: The downturn in activity has somewhat eased the pressure on our staffing crunch, but are we out of the woods? Ralls: No, we still have quite a number of rigs coming into the market, particularly in 2010. We’ll continue to see competition for the skilled positions. 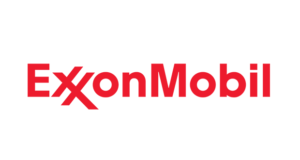 Contractors continue to watch for good news from exploration efforts for deep gas in the Gulf of Mexico that could spur additional drilling demand in that market. Rowan’s Bob Palmer jackup is working in the Gulf for El Paso Corp. 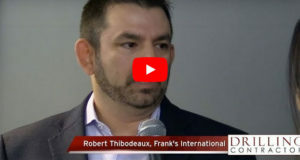 Most contractors have generally made their reductions with entry-level personnel – the roustabouts and roughnecks – and kept people in the skilled positions. In some cases, we’ve had to ask them to take a lower position than where they were previously. But that’s turned around quite sharply, and we’re putting people back in their original positions. In our case, almost half of our stacked rigs have gone or will shortly go back to work. We still have several rigs that are down, but as those start working, the labor picture will tighten up again. DC: Are you continuing training for your crews through this down cycle? Ralls: Absolutely. In fact, we are stepping up training throughout the corporation, from the highest management levels down, to improve our management and safety processes and technical skills. DC: Rowan decided to resume construction on two newbuild jackups in 2009 even though worldwide jackup utilization numbers remain relatively weak. Can you talk about the factors that drove Rowan’s decision? Ralls: In 2007, Rowan decided to build nine new jackups – one Tarzan design and four each of the 240C “Workhorse” design and the EXL design. Early in 2009, when we saw the sharp downturn in activity and commodity prices, plus the extremely tight credit markets, we elected to cancel the fourth “Workhorse” design and to postpone our go-forward decision on the fourth EXL and the third “Workhorse” design. 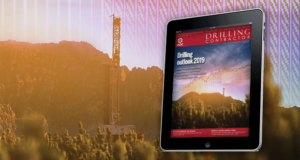 These rigs are high-quality, 40-year assets that will definitely provide good future returns, so that decision didn’t have much to do with the fact that the near-term drilling market was unclear. Rather, it was made to ensure we had adequate liquidity to get through the cyclical downturn, given very uncertain access to capital markets. Eventually the credit markets did thaw. We also accessed credit markets in June 2009 with a $500 million bond issue, and we now have a very comfortable liquidity position. Based on that and the relatively low incremental capital per rig needed to complete those units, we went forward with the construction. DC: So you were confident in the jackup market but put the rigs on hold as a financial decision? Ralls: We weren’t sure about the market for the next year or two. But, like I said, these rigs will last 40 years. We’re highly confident in the demand over the next three or four decades for this type of equipment. In that respect, we were always confident that we’d end up with good long-term returns for the rigs. 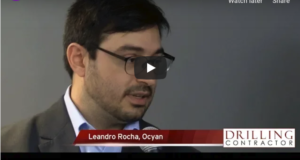 The major issue for us was that we had a very large capital commitment over the next couple of years and wanted to make sure we had plenty of liquidity in view of the downturn. DC: Does Rowan have plans for additional newbuilds at this point? Ralls: We don’t. I don’t see us building new land rigs or jackups for the foreseeable future. The market has enough of both types of rigs. We’re also focusing our business on the offshore side, so we were not building any new land rigs anyway. 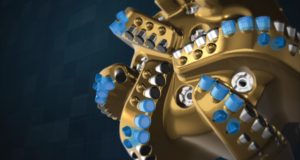 Our objective now is to participate in the likely consolidation of the global offshore rig markets and expand into deepwater and/or continue to add to our high-end jackup fleet. DC: So you’re considering acquiring either a semisubmersible or a drillship? Ralls: Yes, we’ve been very vocal about that in our investor communications and conference calls. We would like to expand into deepwater, but we know that’s a competitive arena. Because we are not currently in that end of the business, we’re at a bit of a disadvantage in bidding for that type of asset. So we’re also looking at newer market entrants that have high-end jackups, with the possibility of acquiring some of them. Rowan has a high-quality fleet, and we’re interested in consolidating that position where it makes sense. DC: How will your newbuild jackups differentiate themselves from others on the market that are waiting for work? Ralls: The major feature for Rowan rigs is that they have very robust designs with heavy drill packages. The “Workhorse” rigs will have 2.5 million-lb hookloads, 80-ft cantilever reach and 9,000 hydraulic horsepower. The EXLs will have 2 million-lb hookloads and 6,600 hydraulic horsepower. They’re extremely robust and designed to drill the long-reach horizontals and HPHT wells. DC: Are they intended for work in the North Sea? Ralls: Some of them may well work in the North Sea; the “Workhorses” were definitely designed for that environment. But it’s not just the North Sea that has those kinds of requirements. 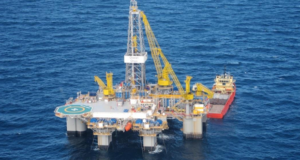 Deep gas in the Gulf of Mexico requires these heavy drill packages. So do long-reach horizontals and gas wells in the Middle East. Several markets around the world require this kind of capability. In fact, offshore wells in general are getting more difficult to drill. That trend is favorable to Rowan because we have the right caliber of equipment. DC: You mentioned having confidence in the longer-term jackup market. What are your thoughts on the potential oversupply of jackups in the next three to five years? Ralls: It’s clear that, for the kind of activity levels we’re seeing now, there’s more supply than demand. The newbuild rigs that are still coming in are generally premium quality, so the issue is what will be the impact of overall jackup supply on dayrates. As long as utilization in any particular market is in the neighborhood of 85% or lower, you will continue to see dayrates drift lower. I would expect that the low-end of the jackup capability spectrum will see very low dayrates because that is where utilization is the weakest. Fortunately, Rowan only has a few rigs in that category. Over the next three to five years, we will need a significant pickup in activity or there will be a number of retirements or cold-stacking in the lower-spec, older rig fleet. 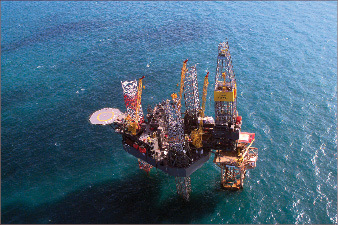 About a third of the world’s jackups are not capable of drilling in 250 ft of water; it’s just older, smaller equipment. That equipment is what is generally referred to as commodity-type jackups. There will be quite a lot of excess supply in that end of the market. They can’t qualify for many of the new tenders we’re seeing. In the high-spec end of the market, like in the Super Gorilla market, our utilization is actually still pretty good, and we’re seeing relatively stable pricing. DC: So if we took away those older “commodity-type” rigs, then the market for the premium units is actually decent? Ralls: We define high-spec rigs as units with 2 million-lb hookloads or greater. It’s difficult to categorize based on any one capability, but that’s the one we believe is the most indicative of drilling capability. The premium rigs are slightly below that capability and would include, for example, the Mod V-B’s and Super 116C’s. A lot of the new construction is coming into that premium class. I was really talking about the high-spec class, like our Super Gorilla. 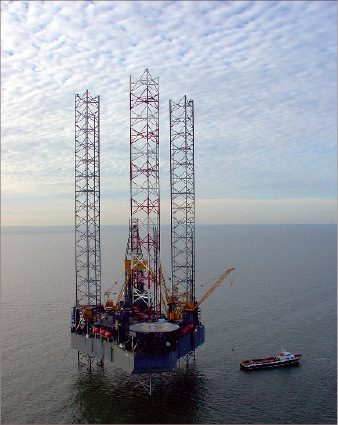 These are big units with 2.5 million-lb hookloads and 100-ft cantilever reach, and there is a fairly tight market for that class of rig. In the premium class, there is more supply than demand currently, but most tenders we’re seeing require premium-type rigs. I think that, over the next year or two, we’ll see stability in that market, though it may be the end of 2010 before we see any kind of pricing support. What’s unclear to me is, at the very low end of the jackup market, where the demand will come from to keep those rigs working. There may be a lot of older, smaller equipment cold-stacked or retired. DC: Are there any particular areas of the world where you’re seeing a pickup in demand for the premium jackups? Ralls: Just about every part of the world, really, compared with the early part of 2009. Tenders have come out of Saudi Aramco for gas wells, for high-end rigs. The North Sea is seeing quite a bit of demand for high-capability jackups. We’re watching the deep-gas market in the Gulf of Mexico for any good news from recent exploration efforts that could spur additional activity, which would require high-end jackups. DC: Oil prices have been relatively robust for the past few months. Is there a sense that this level of pricing is not really in step with the currently weak energy demand? Ralls: Not in my opinion. If you look at the world supply and demand picture, it’s still relatively tight over a reasonable time frame. If you look at the snapshot condition in oil, you could see oil prices going lower. But I think the market looks out further than that. Over the next 20 years, the industry will have a hard time finding new oil to replace what’s being produced and to fulfill a growing demand. I’m very bullish on where oil will go over the next three to five years and not too concerned with what it’s going to do in the next 12 months or so. DC: I’m sure you adopt that kind of long-term view when planning Rowan’s operations and assets as well. Ralls: We have to. We’re building assets that will last 40 years, so we have to think about the macro picture over the next couple of decades. The world is capable of producing around 86-87 million bbls of oil and currently consumes somewhere in the low 80s. Consider that the depletion rate for the world’s productive capability is probably 4 or 5 million bbls a year. It’s still a relatively tight market, and there will be a huge demand on the industry to add capacity. Looking at that macro picture, we’re very bullish on future demand for jackups. 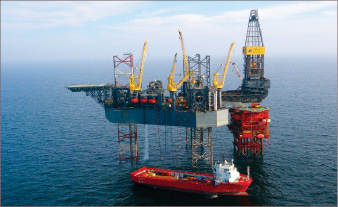 The Rowan Gorilla VI, a Super Gorilla class jackup, recently received an Acknowledgement of Compliance from the Petroleum Safety Authority of Norway, which means the rig can now operate in the Norwegian sector of the North Sea. DC: This last downturn was an especially severe one. 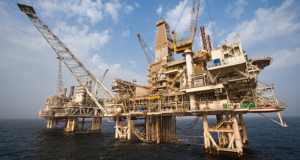 What are drilling contractors’ key considerations when trying to survive something like that? Ralls: I have to say that the contractors in this industry, at least the more established ones, have been through lots of down cycles. We know pretty clearly what’s required. The nice thing about our industry is that most of our costs are at the rig level. We have relatively low corporate overhead, considering our revenue and market caps. I think we all know clearly that you have to take capacity out of the market in order to balance it. That means taking people off rigs, it means warm-stacking quickly and cold-stacking as required. The industry has a long history of doing what needs to be done. Everybody quickly comes to the realization that you can’t just sit there with a crewed rig. 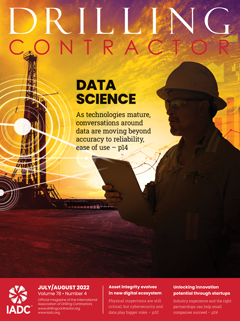 DC: Nonproductive time (NPT) continues to be a critical challenge for contractors and is a big concern with operators. 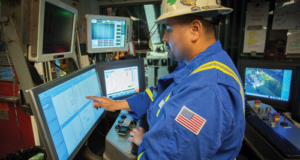 What is Rowan doing to reduce downtime and NPT on your rigs? Ralls: We’re implementing a system accessed through SAP, our enterprise software system. We’re beefing up our preventive maintenance system. We also have regular meetings about downtime to track the sources of downtime. Then we try to come up with programs to mitigate the most common sources. Unfortunately, there’s no real consistent source of downtime, apart from top drives, which I mentioned earlier. Providers of top drive equipment have to push their designs to reduce downtime. DC: What are the critical issues you deal with as president/CEO of Rowan? Ralls: The challenge is to continually improve everything we do and to do that on an injury-free basis. Fortunately, Rowan has an outstanding reputation with its client base. The challenge is to continue to improve on that while reinforcing an ever-stronger safety culture. 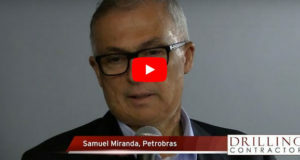 At the strategic level, the management team would like to see the company have a more diversified asset base – we would like to expand into deepwater. That’s a significant challenge because we don’t have deepwater assets currently. But, fortunately, Rowan has critical mass in our operations, so we can be patient and continue to be a high-end jackup company. Day in and day out, the most important issues are continuous improvements in safety and operational excellence. -I HAVE 17 YEARS EXPERIENCE WORK IN JACK UP RIGS. -I HAVE BOSIET- OPITO CERTIFICATE FROM ARAB ACADEMY. -NOW I WORK DRILLER IN WEATHERFORD DRILLING COMPANY LAND RIG.